On the outside, this site may seem like several other real estate sites, but once you delve in deeper, you’ll quickly see that we’re not just like every other realty company and these pages contain so much more than you’d expect. The Mountain Group at Premier Sotheby’s International Realty is a premier firm specializing in niche markets. We do real estate better than the rest, at a level higher than the rest – figuratively and literally. One of our primary focuses is mountain homes for sale in North Carolina. Some of these properties are at elevations above 5,000 feet. Browse our site to learn and see more. We leave nothing to the imagination; when it comes to house hunting, that’s typically not a good way to go. We include every piece of information available on a property. You can find details on a home from the square feet to the maker of its light fixtures. Many feature photo galleries where you can see just about every aspect of the home. You’ll feel like you’ve been there before you even step foot on the property. 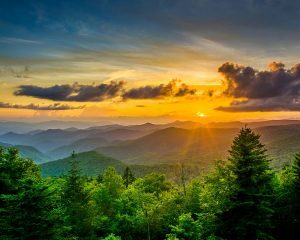 If you already know you want a mountain home in NC, we don’t have to sell you on the idea, but we’ll reiterate it’s an excellent choice. This region is a beautiful place to live and the homes here are so much more than the rooms and craftsmanship. Just ask any resident. 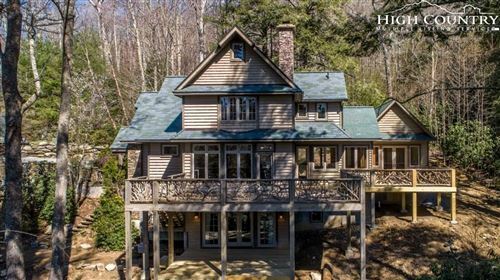 When someone invests in a North Carolina Mountain home, they are purchasing a home, along with a piece of the Blue Ridge Mountains, a season pass to the southern charm that abounds and the beauty that reigns, and a way of life indescribable. You’ll know exactly what we mean as soon as you walk through your soon-to-be front door. It doesn’t take long to settle in.